NEW YORK — Billie Jean King has issued a message of support to Serena Williams, suggesting the controversy that overshadowed the U.S. Open final was the result of a “double standard” in the way male and female players are treated. Williams became embroiled in a furious row with chair umpire Carlos Ramos during her 6-2, 6-4 defeat to Naomi Osaka at Flushing Meadows, which culminated in the 23-time grand slam singles champion being docked a game. Williams initially objected strongly to being handed a coaching violation early in the second set, clearly feeling the sanction was an insult to her integrity. 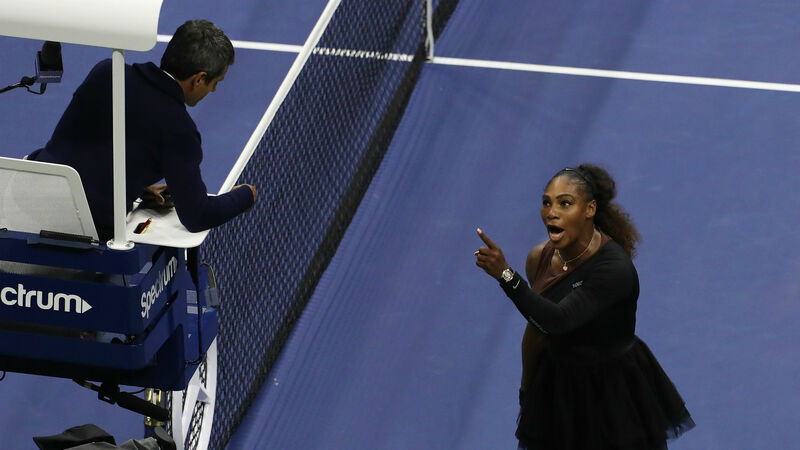 Subsequent code violations for racket abuse and verbal abuse followed, the latter punishment costing Williams a game and enraging the 36-year-old, who later complained she had been treated more harshly than male players. After initially tweeting a message of congratulations to first-time slam champion Osaka, tennis great King made it clear she agreed with Williams’ assessment. “Several things went very wrong during the @usopen women’s finals today,” King wrote. “Coaching on every point should be allowed in tennis. It isn’t, and as a result, a player was penalized for the actions of her coach. This should not happen.